Born into a devout Swami Narayan family, it seems Pravin was destined for a life of spirituality. From a young age Pravin was immersed in Vedic culture and his home was regularly visited by monks, holy men and spiritual practitioners. In 2000, while studying for a Master’s degree in Aerospace engineering from Queen Mary University in London; he came across the Krishna Consciousness University Society. Within a year Pravin became the President of the Krishna Consciousness Society! After graduation, Pravin worked for a year in the aircraft industry before deciding to pack it in and move into the temple as a full time monk. Since that time, Pravin has gone from strength to strength. His chosen field is education and he has taught numerous courses and residential training programs. The son of first generation Hindu Bengali immigrants, Santonu grew up on some of the harshest, crime ridden streets of South London. Thankfully due to his parent’s strong culture and family values, he never was led astray while growing up. Instead he worked to achieving his dream of qualifying as a Doctor from King’s College, London and became a highly successful GP. Alongside his career, he would enjoy the high life, travelling to exotic locations. Whilst there was some momentary pleasure, Santanu soon recognized that it wasn’t giving him the real satisfaction that his heart was craving for. That’s when he got into Srila Prabhupada’s books. He realised that the Krishna consciousness process can give him an on-going pleasure that will not just touch his senses, but his heart and soul as well. A few years back, he decided to take time out of his profession and joined the Bhaktivedanta Manor temple as a monk. Sesa was born into a Hare Krishna household and the Bhaktivedanta Manor has effectively been his second home since birth. A deep thinker with a strong scientific mind, Sesa has always been interested in the structure of the cosmos, how our minds operate and the nature of consciousness. He went onto study Mathematics at City University and was intrigued by the different mathematical laws and paradigms that help to explain the structure of our Universe. This spurred him to go back to his Krishna conscious roots. He scrutinised and dissected the ‘Bhagavad Gita as it is’ to the best of his ability. Never had he come across a book that went so severely into uncovering the profound truths of who we actually are, why we are here and what is the purpose of this universe. He knew then that he was not going to go into the modern day rat race. Instead he was going to use every iota of energy in his body to fully realise the answer to life’s perennial question: What is the purpose of life? Born to a family of Gujarati immigrants who settled in West London, Jankinath was a highly dynamic individual from the word go. From a young age he was passionate about environmentalism and used to travel around the world on a bicycle. Simply to reduce his carbon footprint! Not only that, he would experiment with various new age, health diets to keep his ‘Ayurvedic doshas’ in balance as well as being a committed follower of celibacy to maintain his vitality, strength of character and sense control. In 2007 he graduated from King’s College, London with a first class degree in Telecommunications. Shortly after, Jankinath got involved in managing various marketing projects for the Cannes Film Festival and the Harley Hamburg Festival. Being the ‘tour de force’ that he is, he was soon travelling around the world. Particularly to India, where he got involved with a Hare Krishna organic farm for 6 months and learnt about self-sustainability and Vedic culture. Some people go to University to get educated about life and some get educated from the University of life! Tanmay certainly falls into the latter category. Coming from half Indian half German parentage, he never had any formal schooling. Instead, during his childhood and youth he travelled all around the world with his father assisting him in his various business ventures. It was soon apparent that Tanmay had a strong entrepreneurial streak within himself; and he soon put this to good use by setting up and running a worldwide horse riding equipment business. What bought him to Krishna consciousness was his German born mother. She had a spiritual awakening some years ago after coming in contact with the one of the Hare Krishna temples in India. The experience impacted on her to such an extent that she decided to commit her life to attaining the Supreme truth through the process of Krishna consciousness. She soon relocated to the UK and is now one of the longest serving, actively involved nuns within our temple. Having completed the Bhakti Shastri course in 2009, Paresh soon after joined the Bhakti Shastri administration team. He also served in the capacity of a teacher in the Krishna Club for 4 years. 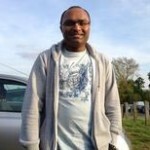 Being an IT analyst he uses his skills and knowledge to ensure the course is run to a high professional level. He is currently enjoying studying the Bhakti Vaibhava course at the Manor. Hiten has been an active member of Bhaktivedanta Manor’s congregation for over 15 years and completed the Bhakti Shastri course in 2009. Straight after his Bhakti Shastri graduation, Hiten joined the course’s administration team and has been playing a significant part in the development of the course ever since. He works for Santander UK as a Bank Manager and has been in the sector for over 7 years. Sanjay Bhanderi had been coming occasionally to the temple on festival days for many years. On one such visit he decided he would like to do some service for Janmashtami and volunteered to serve in the kitchen. During this time he saw a poster advertising the Bhakti Shastri course, and he decided to enrol in 2009. The course had a big impact on his life and thus he joined the administration team at the College of Vedic Studies to assist with the Bhakti Shastri course after graduating in 2010. Sanjay also serves with the Back to Godhead team at festivals promoting and distributing the magazine to the festival guests. 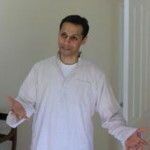 Sanjay is currently midway through the Bhakti Vaibhava course. Outside of his temple services Sanjay is a qualified Chartered Certified Accountant. Harsha’s journey to joining the Bhakti Shastri team started with attending the introductory Explore course offered by the College of Vedic Studies. The course was a real turning point and marked the start of Harsha’s passion for shastric studies – she progressed to the Gita Life course and then moved onto Bhakti Shastri. 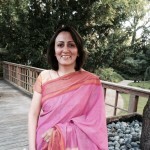 The Bhakti Shastri course deepened Harsha’s knowledge and application of bhakti yoga and she was keen to support the course after completing it. She is currently studying Bhakti Vaibhava. 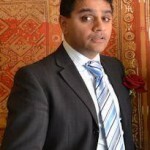 Harsha is a civil servant working in Westminster, London.